For repairing of surface scratches, chipped edges and misdrills. 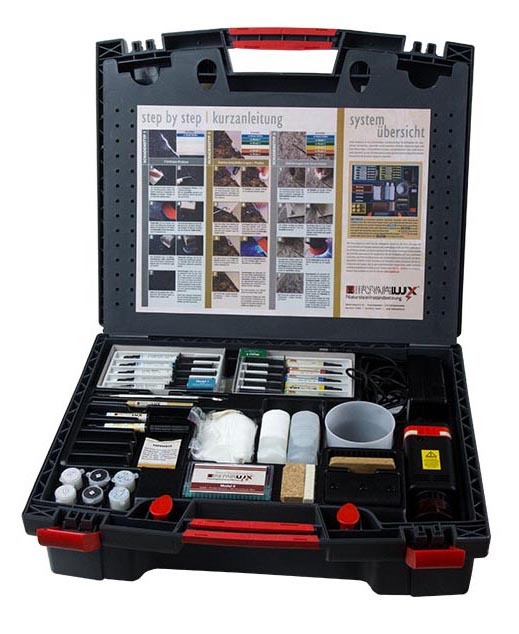 High quality natural stone repair kit. Kit contains all components required for the repair to the professional finishes. For more detail on this product, please contact us. For repairing of scratches, damaged edges and marks. Works great on all wood surfaces. For more detail on this product, please contact us.